Celbridge born Karen Delahan-Maher has lost 5 stone with Slimming World and is going to open her own group in Maynooth to help others. The final straw for Karen (36) was when she had to be rescued in a children's playzone. "It was so embarrassing; I went in to help my son and ended up stuck in one of the activities, in full view of all other parents, kids and a troop of scouts". After being heroically rescued by the playzone staff Karen vowed it would never happen again. That week she joined Slimming World, and so began her amazing transformation. Looking back, Karen acknowledges that she has long struggled with her weight. As far back as she can remember she had weight issues and recalls needing a size 14 for her confirmation clothes. As she got older, it didn’t get any easier. During her teenage years she seemed to put on an extra stone for every year that passed. By the time she was 21 she was only a few pounds short of 21 stone. Her friends were slim, and could easily dress in the latest fashions. No matter what she wore she felt big and her confidence was destroyed. During this time doctors diagnosed her with Polycystic Ovary Syndrome (PCOS), “it was a huge blow, the doctor told me that my chances of having children were slim” she says. Karen felt she used this as an excuse to not to even try to shed her excess weight! When she started working she tried everything she could to lose her weight. She joined so many weight loss groups, and had some success, but inevitably the weight would always go back on. She tried diet pills, the cabbage soup diet, and spent so much money over the years. While everything worked for a few weeks, in the long term none of the methods she tried were sustainable. After undergoing fertility treatment, Karen gained weight with each pregnancy, and all attempts to lose it failed miserably. During her third pregnancy she developed gestational diabetes, which involved seven self-administered insulin injections a day for 5 months she worried how this would affect her baby and herself. Thankfully all went well, but it was a real wake-up call for her. Shortly after giving birth to baby number three, Karen was bridesmaid at her sister’s wedding. “My sister had these amazing dresses made, they were beautiful purple silk and mine was a really stunning Grecian style – but it was size 24! I thought I looked fantastic, but when I saw the photos some days after the wedding I was shocked. I was so disappointed with myself, I felt I let my sister down, but more importantly I was being unfair to my own family because I was failing at being the mother and partner they deserved”. Karen explained how she felt when she was at her heaviest. “At my lowest point I felt worthless and out of control”. She avoided going anywhere and meeting new people terrified her. She became almost a recluse, comfortable only when she was at home with her family. Day to day things had become difficult for her, and the things that other people do with ease were a huge struggle. She knew she had to do something, but she was at a loss to know what to actually do. Then one day she saw an advert for Slimming World in Mullingar. “Half of me was saying…”here I go again, throwing money down the drain…”yet she was at the point where she had to do something …she just wasn’t convinced that it would be worth it. “From the moment I walked in the door and my consultant, Caroline, welcomed me to the group, I knew this was going to be different, and I was right”. Karen explained that she noticed two things almost immediately. The eating plan is so different from anything else she had tried, and it took her a few weeks to actually believe that it might work. “I could eat all the things excluded on most other diets …like potatoes, rice and pasta, and as much lean meat as I wanted”. She could graze all day on fruit and vegetables. She just couldn’t get hungry. In fact, she could eat so much those first weeks that she honestly didn’t believe that she could possibly lose any weight. She approached the scales with trepidation, actually thinking she would have put weight on. “I couldn’t believe it, in the first week I lost 5 lbs., the first month 15.5 lbs and within 9 months I had dropped an incredible 5 stone” and her weight continues to drop. She didn’t know how it worked back then, but what she did know is that it did work. The second thing that was really noticeable was how great she felt. In no time she had more energy and felt truly happy and positive for the first time in her life. “I have so many great new friends in my group and I love catching up with them every week”. She now feels like the person who lived inside her body for all those years. She is married to Jason, who has also lost over 5 stone with Slimming World and they have three children. She is now able to enjoy getting out and about, and doing all the normal things that other people take for granted. “The biggest bonus now is I get to pass my experience on to others as a consultant for Slimming World in Maynooth” she excitedly tells us. When we asked Karen what she does now that she couldn’t do before, she laughs and says “everything, where do I start? I have so much energy. I play with the kids, we go swimming and for long walks. It’s endless! I can go up the stairs without losing my breath and shopping for clothes is a pleasure and not the disappointment it used to be”. Asked what advice she would give to anyone wanting to lose weight, Karen says “just come along and give it a try. You have nothing to lose but your weight. You will be welcomed, you will feel comfortable, and we will give you a plan that works for you”. 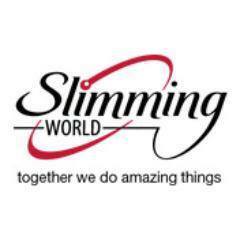 Slimming World is not just a weight loss class, it’s a whole new way of eating for people who want to be fitter, healthier and slimmer. Karen didn’t believe that it could change her life, but it has. “I’ll never go back to being the other Karen”.